To read The Westmorland Gazette review of the concert click here. Music lovers in the town were rewarded on Saturday last with a feast of songs from the Whitehaven Male Voice Choir under the baton of their Musical Director, Peter Argyle; together with outstandingly beautiful singing from Catrin Aur, a top class Soprano from West Wales. The Whitehaven Civic Hall was, as usual, packed with an enthusiastic audience as the Choir presented a programme of sacred and secular songs from shows, ballads and opera, treating them to new items in the repertoire as well as some favourites by popular request. The Choir’s repertoire also included a moving performance of ‘Love, Could I Only Tell Thee’ and the rousing ‘Roman War Song’ They finished their final selection with the tongue twisting ‘Rhythm of Life’, it’s always a crowd pleaser and how they get the words out is beyond me!! The evening was completed by a new piece ‘Rachie’ performed by the Choir in English and Catrin in Welsh – maybe Welsh from the Choir too next time, eh boys? The Choir’s regular accompanist, Joan Johnston gave her usual sterling support throughout the concert, whilst Catrin was accompanied by Hugh Turpin. 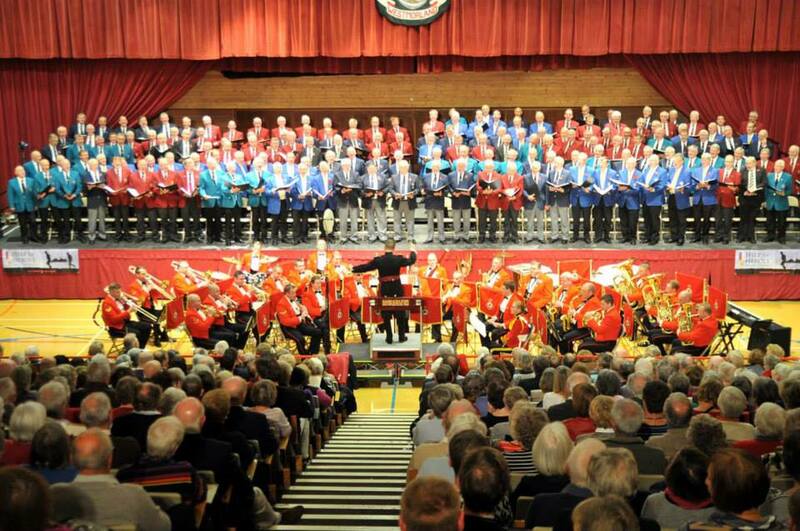 This Annual Concert is always eagerly supported by the people of Whitehaven who fill the Civic Hall every year. It is sincerely to be hoped that this super venue will be able to continue to host such occasions in the future – there is nowhere else big enough! Many thanks and congratulations to all concerned in presenting this marvellous musical treat. The Choir are delighted to announce that the guest soloist for their 2013 Annual Summer Concert will be Welsh soprano Catrin Aur. Catrin hails from West Wales. She studied at the Royal Welsh College of Music and Drama, the Royal Academy of Music, London and most recently at the prestigious International Academy of Voice in Cardiff with Dennis O’Neill supported by the Retreats Foundation Grant. Whilst at the Royal Academy she was the recipient of the RAM English Song Prize, Sir Geraint Evans Scholarship, Elias Soprano Prize and the first Dame Shirley Bassey Vocal Award. 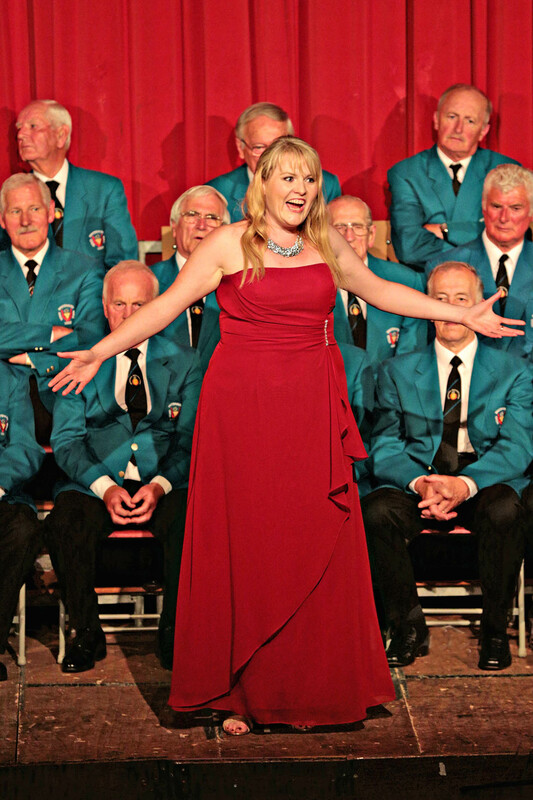 In 2009, she won the Towyn Roberts Scholarship at the National Eisteddfod of Wales, represented the UK in the final rounds of the Montreal International Singing Competition and was named MOCSA Young Welsh Singer of the Year. Other awards include the DISS Advanced Opera Scholarship. 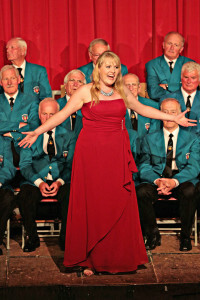 Catrin was a finalist in the BBC Welsh Singer Competition in 2010. Her operatic roles include title-role Aida, Donna Anna in Don Giovanni, Violetta in La Traviata, Mimi and Musetta in La Boheme, title-role in Madama Butterfly, Tatiana in Eugene Onegin, title role in The Merry Widow, Elisetta in Il Matrimonio Segreto, Danubia in ‘Ten Belles’. She has also understudied the role of Dew Fairy in Hansel & Gretel for Glyndebourne Festival Opera. She has an extensive oratorio repertoire including Verdi’s Requiem, Haydn’s Creation and Nelson Mass, Handel’s Messiah and Judas Maccabaeus, Mozart’s Requiem and Coronation Mass, Mendelssohn’s Elijah and Schubert’s Mass in G.
Concert highlights include performances at Bâtiment des Forces Motrices in Geneva, in Kyoto, Japan for Japanese Royalty and a St David’s Day reception held at the Foreign Office, London. 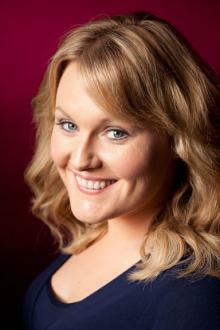 She recently embarked on a UK wide Strauss Gala tour and has also performed in America, Italy and Canada. She has performed numerous Lieder and Welsh song recitals and has taken part in masterclasses with Dame Kiri Te Kanawa, Ileana Contrubas, Sir Jonathan Miller, David Syrus, Malcolm Martineau and Roger Nichols. Engagements last season included understudy Donna Anna in Don Giovanni for Glyndebourne Touring Opera and understudy Helena in A Midsummer Night’s Dream for English National Opera. This season, she sang Musetta in La Boheme for Opera Project, Aida and High Priestess in Aida at the Royal Albert Hall in London and gave concerts in Hong Kong with the City Chamber Orchestra Hong Kong conducted by Gareth Jones. Future plans include Donna Anna in Don Giovanni for Mid Wales Opera and concerts at the Royal Albert Hall, Cadogan Hall, London, Liverpool Philharmonic Hall and St David’s Hall in Cardiff. The Musical Director for the concert will be Peter Argyle, with piano accompaniment provided by Joan Johnston and Hugh Turpin. Tickets priced at (£10 Adult) (£8 Over 65’s) & (£5 Under 16’s) are available from Don Messenger (Concert Secretary) on 01946 63452 or from any choir member. 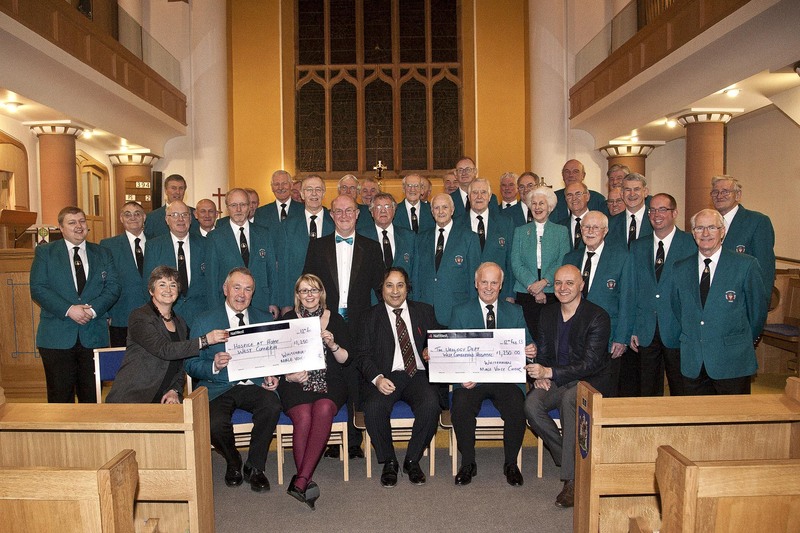 On February 12th prior to a concert at St Michael’s Church, Workington, Whitehaven Male Voice Choir presented cheques totalling £2500 to their 2012 ‘Charities of the Year’ – Hospice at Home West Cumbria and The West Cumberland Hospital’s Urology Department. This money was from the proceeds of their Annual Christmas Concert, which took place in St James’ Church, Whitehaven and carol singing in Workington’s Dunmail Park and Whitehaven’s Tesco store. Every year the choir nominate a local charity or charities to benefit from their Christmas singing. Hospice at Home were chosen as they celebrated their 25th anniversary in 2012. Hospice at Home West Cumbria exists to ensure that the people of West Cumbria receive the best possible palliative and end of life care. It aims to be a ‘hospice without walls’ providing all the services found in a traditional hospice building but delivering those services in people’s homes and in community locations. Services comprise home nursing, lymphoedema treatment and hospice support. It costs £10,000 a week just to maintain their current level of service. West Cumberland Hospital’s Urology Department provide an extensive range of diagnostics, treatment and care for patients with disorders of the kidneys, ureters, bladder and prostate in both male and female patients. The money donated will help to buy new equipment, enabling the department to continue to provide this vital service in West Cumbria. This is just a small part of the money the choir raise for charities and other worthy causes each and every year throughout Cumbria and beyond. They provide their services entirely free of charge, allowing all monies raised to benefit the chosen charities.